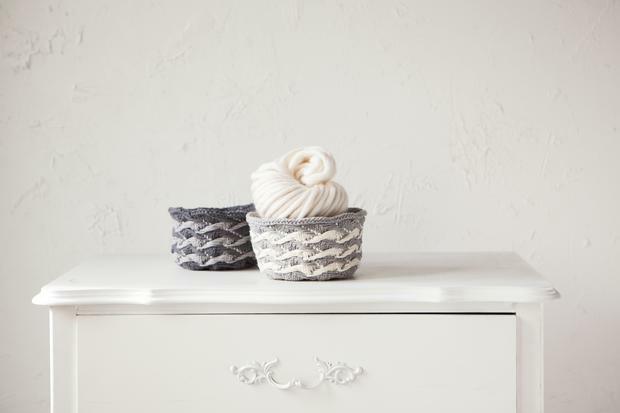 The two-color jacquard design of this all-cotton basket is full of color and texture, but the sophisticated appearance of the design is very easy to work. 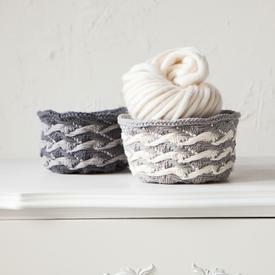 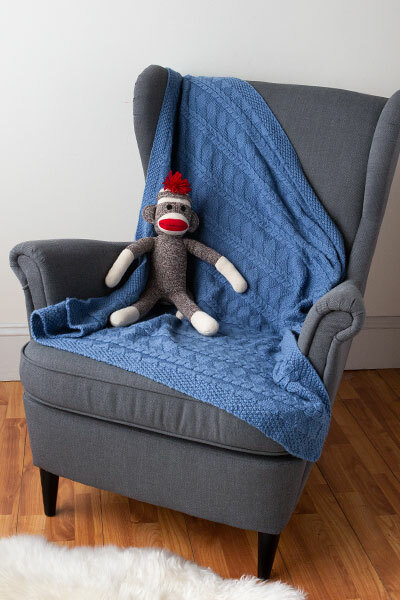 I like the jacquard design because it actually reminds me of a woven basket! 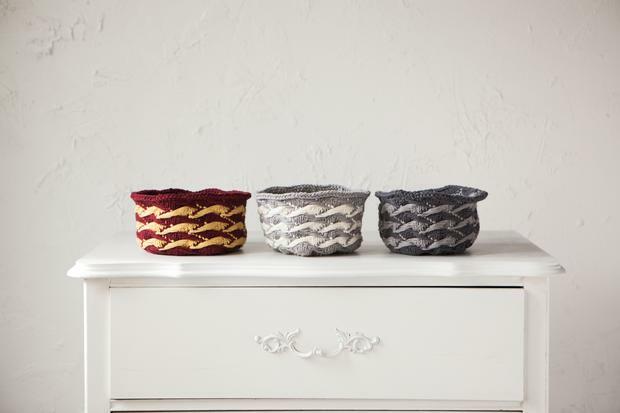 Dishie yarn held double-stranded creates an extremely durable and stable, yet collapsible, basket. 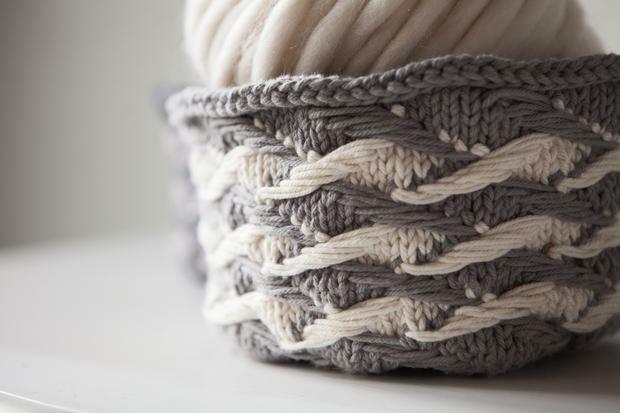 The seed stitch base provides a flat foundation for the basket; stitches are picked up from the base, and the jacquard pattern gently lofts upward to a slightly scalloped I-cord bound off top rim. 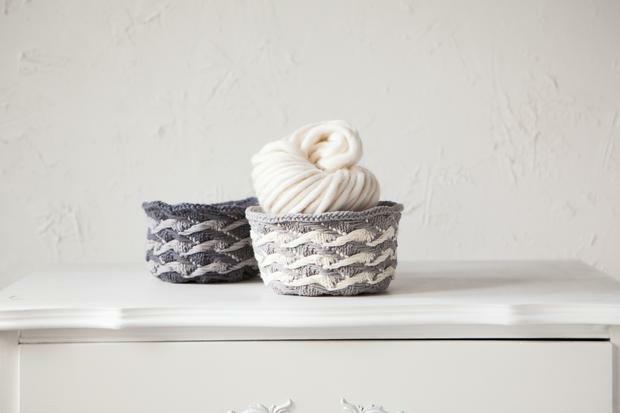 Makes a great gift when filled with baked goods or yarn!